Skipton-on-Swale airfield (RAF Skipton-on-Swale, also known as Skipton or Sandhutton) was an airfield 315 kilometers north-northwest of London. The airfield was built in 1941 with two grass runways, one 1,400 and one 1,100 yards long and the technical site to the northeast. Just before the airfield was complete, it was completely redesigned and rebuilt. Although construction of the perimeter track and 24 parkings was already complete, much of this work was torn up to allow longer runways to be constructed. 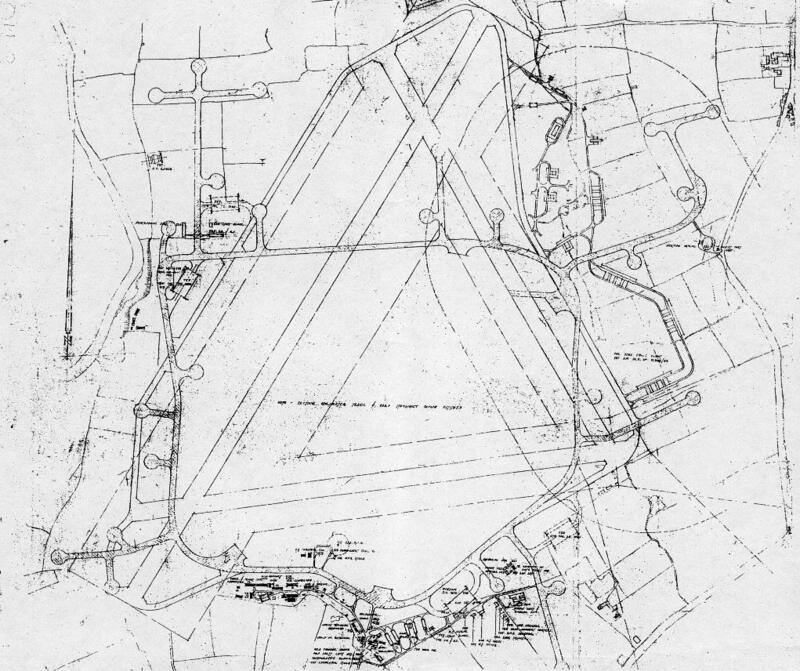 The airfield as it was initially built, with the planned new runway system drawn on top (derelictplaces.co.uk). The airfield around the time of its completion in 1943, judging from the visible ground work around its runways (Beer-is-best.com). It was destined to become a Bomber Command airfield and in August 1942 it received the Wellington bombers of 420 Sqn to prepare for a planned RCAF Group. However, because the airfield was still not completed yet, the squadron left for Middleton St George in mid-October and the airfield remained with no units assigned until 1 May 1943. On that date 432 Sqn was formed at the airfield, starting Wellington bomber operations 3 weeks later. The squadron was moved to RAF East Moor in September and replaced by the formation of a new Halifax bomber squadron, 433 Sqn. This squadron was joined by 424 Sqn in November, when that unit returned from North Africa to re-equip with Halifaxes. 433 Sqn went to combat in early January 1944 followed by 424 Sqn in mid February. Both squadrons operated from Skipton for the rest of the war. In January 1945 both converted to Lancaster bombers. By the end of World War II the airfield had lost almost 100 Welllington, Halifax and Lancaster heavy bombers. Both squadrons remained in Bomber Command until they disbanded in October 1945. A 433 Sqn Lancaster bomber at the airfield in 1945 (thewhpfamily.com). After the Canadians had returned to Canada, the RAF maintained the airfield with a Maintenance Unit. 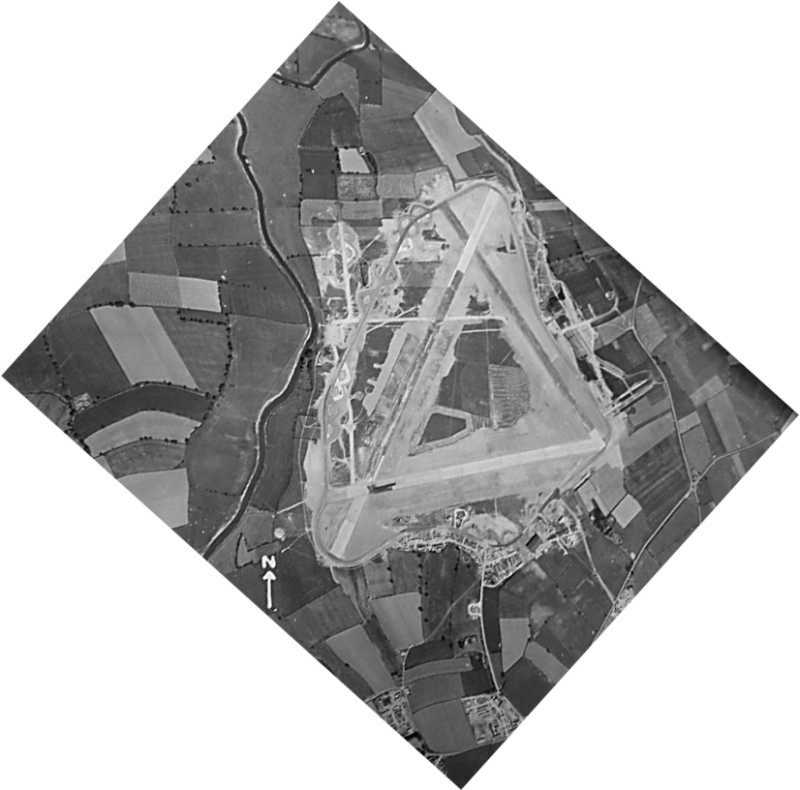 Soon however, it was decided that there was no further use for the airfield and by March 1950 it was sold and subsequently returned to agricultural use. Although still recognisable from aerial photography, most of the airfield infrastructure has been broken up. Parts of the runways, platforms and taxiways remain intact as bases for poultry houses, the greater part of the area having been devoted to poultry farming since the 1970s. The carcass of the tower is still standing. Its future appears to be sure, as its current owners are fully aware of the origins of the buildings and what it represents. Several plaques were put on the building in remembrance of fallen Canadian aircrew. 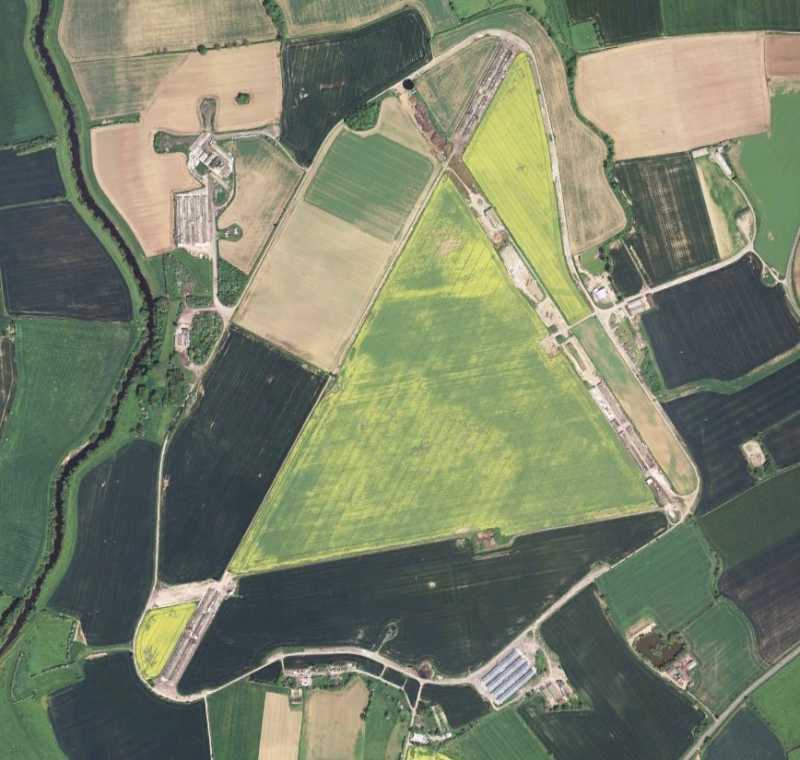 Note: this airfield was described earlier, using information supplied on the RAF website. Due to a 3rd party copyright claim, the part between 1940 and 1945 was rewritten, omitting certain information on units and dates.